Prime Minister Narendra Modi on Saturday inaugurated and dedicated Tuirial hydro electricity project to the nation at Assam Rifles ground here in Aizawl. 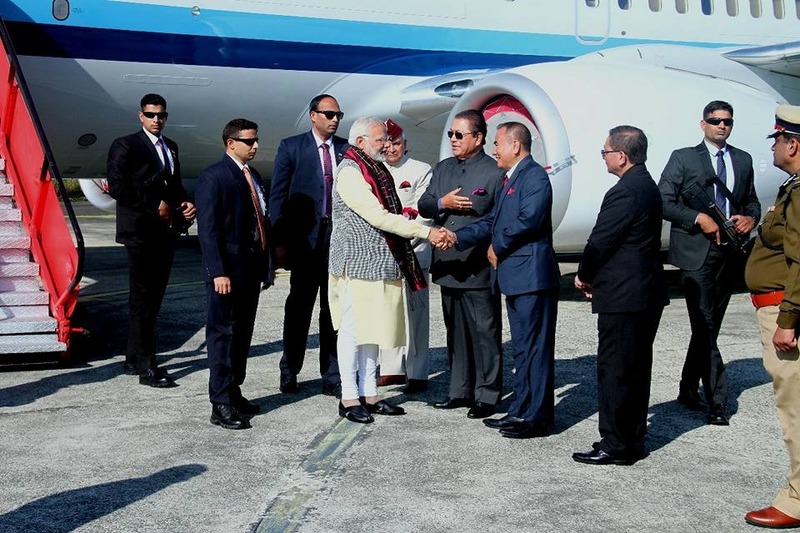 “The state has a hydro power potential to produce 2100 MW of which we have so far tap a fraction, I see no reason why Mizoram cannot become a main power exporter,” the Prime Minister said. “With the commission of this project, Mizoram is the third state to be self-sufficient in power in Northeastern states after Sikkim and Tripura,” Modi said. The Prime Minister said that Tuirial hydel project was the first centre’s project to be successfully commissioned and that it would give 2,500 million unit of power every year. On the request of the Chief Minister of Mizoram Lal Thanhawla the proposed tariff rate per unit of the power was slashed down considerably. This was announced by union minister of state for power RK Singh, who gave a welcome speech at the Prime Minister’s public rally. The Prime Minister stressed on various development projects which the region could benefit from and said the Centre has comprehensive plan to modernize power transmission system and that state of the art system would be installed in the region so that power surplus can be sold and given to states who are in need of it. “Our aim is not just to make NE states’ power surplus, we also aim to develop a state of art transmission which can transfer power to other power deficit parts of the country. My government is investing Rs 10,000 crores for a comprehensive improvement in the power transmission system in the NE states,” Modi said. After his speech at the Assam Rifles ground the Prime Minister left for Shillong.